It comes down to the fact that a lot of children are drinking too many sugary drinks. One study found that almost two-thirds of kids have at least one sugary drink a day. And about 30 percent of them have two or more a day. Now physicians do educate patients and parents about the health problems linked to high sugar and sugary beverages. But, this hasn’t been very successful. 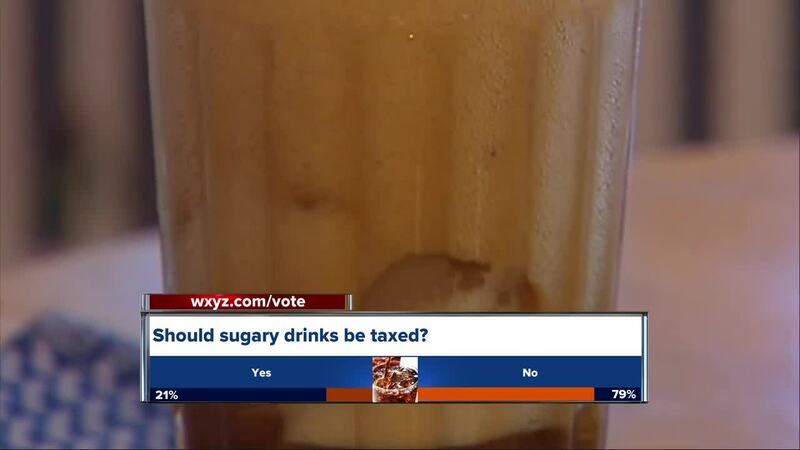 (WXYZ) — Why do physician groups want to limit access to sugary sweetened drinks? It comes down to the fact that a lot of children are drinking too many sugary drinks. One study found that almost two-thirds of kids have at least one sugary drink a day. And about 30 percent of them have two or more a day. Now physicians do educate patients and parents about the health problems linked to high sugar and sugary beverages. But, this hasn’t been very successful. And why is that? Well, these drinks are not only cheap, but you can find them just about everywhere. And since they’re sweet and heavily marketed to kids, well it’s no surprise they want them. But if these recommended policies are implemented, then we’ll likely see a reduction in sugary drink consumption. Because decreases were seen in Mexico and Berkeley, California once prices for these types of drinks increased. What sort of health issues are being diagnosed in children? Serious problems associated with regular sugary drink consumption include fatty liver disease, high cholesterol, and type 2 diabetes. Now these health problems were rarely diagnosed in children years ago. Unfortunately, they can have devastating consequences. We know in adults, long-term consumption is linked to stroke, heart disease, high blood pressure, certain cancers, and premature death. So how do you know if your child is drinking too many sugary drinks? Well, the American Heart Association recommends that kids between the ages of 2 and 18 have less than 25 grams of added sugar a day. Let’s compare that number to a 12 ounce can of regular pop. One of these can contain between 35 and 41 grams of added sugars. So one sugary drink can easily put kids over the recommended limit. And that’s why policy changes are needed to help reduce the consumption of these types of drinks. And this will hopefully help the health of our future generation.